Dale & Daughters have over 33 years' experience in removals in Solihull, Birmingham and Sutton Coldfield and the surrounding areas. We can offer you a friendly and professional and experienced service throughout the complete process to make your move as stressfree as possible. Call us on 0121 243 0849 for a quotation. 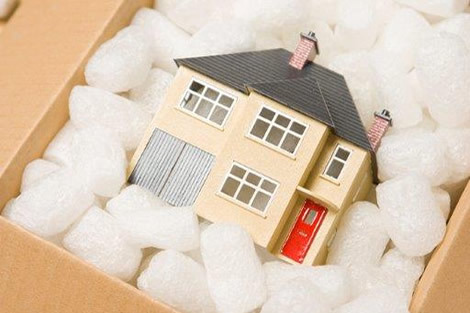 Your moving consultant can advise on packing, storing and will discuss insurance options. We can assist you step by step from your sale to moving date. We also operate an after care service which would include any handyman work you may require. We are a family run firm operating in the UK. Our watch words are Care, Courtesy and Reliability. We understand your removal needs and tailor our services to suit. Before accepting a quote from any other company, try an on the spot quotation from Dale and Daughters. We are sure we can offer a better service at a more competitive price. Call us on 0121 243 0849. We are also affiliated with both the Road Haulage Association and The Guild of Master Craftsmen. We do not use either casual or agency staff. All our team are our own and fully trained. Long established company with professional team which means you can put your trust in us to provide you with experience. also operate an after care service which would include any handyman work you may require. Approximately two weeks before your move we will deliver flat pack boxes, tape, labels, change of address cards, wrapping paper and on the day of the move portable Hanging Wardrobe cartons will arrive saving time and effort! We are happy to provide packing advise if required. These are on loan for approximately one month which can be extended, if required. Alternatively we can offer you usually the day before both a fragile pack (China/Glass/pictures/lamps/mirrors etc) or we can provide a full packing service. (This is when you sit back and relax). These procedures are carried out carefully using fully trained staff . We also offer a dismantling and re-assembling service. All furniture is wrapped, strapped and fully protected throughout. Floor coverings are put in place at both ends to protect carpets and flooring. On the day, make sure all items not moving on the lorry are clearly marked and labelled. We aim to be away by 12.30 and on our way. The last items on the lorry are the vacuum and the tea pot! If travelling long distance it is useful to keep bedding to one side in case of frustrated delivery ie: motorway hold ups! team to the warehouse upon removal date should you require. On the day, make sure all items not moving on the lorry are clearly marked and labelled. There simply are not any. We do not require deposits. We do not charge an hourly waiting fee at destination. We do not charge a cancellation fee on a provisional booking. BEFORE ACCEPTING A QUOTE FROM ANY OTHER COMPANY. Try an on the spot quotation from Dale and Daughters as we are sure we can offer a better service at a more competitive price. We are also affiliated with both the Road Haulage Association and The Guild of Master Craftsmen. We do not use either casual or agency staff. All our team are our own and fully trained. We are a family run firm and consider Care, Courtesy and Reliability as the foundation of our business. We understand the requirements of a removal and will tailor your move to your requirements.